Ask The Ripped Dude: How Do I Maintain A Cover Model Physique? Your physique is awesome! You're ripped, but you're not "bodybuilder big." What's your stay-shredded secret? There was a time when I got caught up in the size game and consumed 5,000 calories per day. Although I was much bigger than I am now, I realized it wasn't healthy for me, anyway. Moreover, fitness stopped being fun. It was a drag to weigh myself every day and eat a whale's amount of food. I gave up the bodybuilder look and became lean, and healthier inside and out. I maintain my physique by using a combination of a really clean diet and a tough fitness routine. I don't eat 5,000 calories like a lot of bodybuilders so I don't have to worry about accumulating unwanted fat. 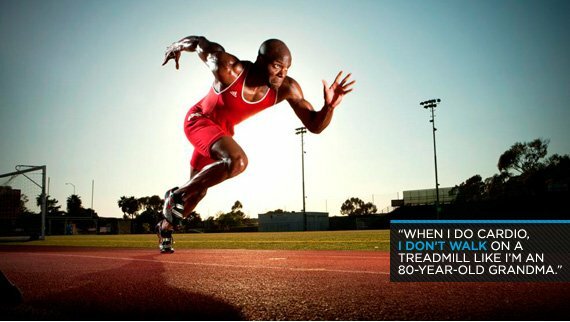 When I do cardio, I don't walk on a treadmill like I'm an 80-year-old grandma. For me to maintain a razor-sharp 4-to-5 percent body fat year-round, I consume 10-to-12 calories per pound of bodyweight. That means if I weigh 200 pounds, then my daily caloric intake falls between 2,000 and 2,200. I know it doesn't seem like a lot of food, but I never go hungry. I don't feel deprived. It's a perfect amount of food to keep me lean and energized in the gym. My macronutrient ratio diet is high protein (50%), low carb (35%) and low fat (15%). I am always conscious of my sodium intake, so most of my foods are low in salt. I try to eat my cheat meals during that awesome post-workout, nutrient-absorbing window. (I heart french fries.) It's great because even if I have a low-intensity training session, my muscles can still sponge up a large amount of carbs. Those fries feed my muscles instead of accumulating into a paunch. 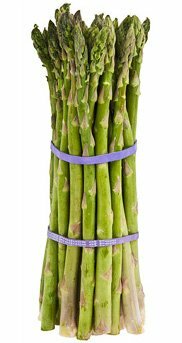 I eat some great fat-burning foods on a weekly basis. Some of my favorites are brown rice, chicken breasts, broccoli, spinach, asparagus, oatmeal and sweet potatoes. In order to lose weight or stay lean, you need to eat fewer calories than you burn. It's a pretty simple concept - even a caveman could do it! It doesn't matter if you're eating these calories during the day or night, you just need to make sure you consume fewer than you burn. I don't lift nearly as heavy as I did in my bodybuilding days. I train with about 70-to-75 percent of my 1-rep maximum and I always go at least 10 reps, but no more than 15. For my physique goals, I think it's pointless to train with a set less than 10 reps. I'm not a powerlifter and I'm not trying to get huge. Every time I lift, whether I'm training back, biceps or legs, I make sure I can feel the muscle working. If I can't feel the muscle doing work, I'm doing the movement incorrectly. When that happens, I re-adjust the angle and reset my posture. My reps are slow and controlled for proper technique and fewer injuries. The mind-muscle connection is incredibly important; you should feel the muscle execute the exercise. I do a lot of outdoor cardio that keeps me functional, agile and athletic. I do plyometrics over hurdles, 1- and 2-leg jumps on stadium steps, sprint workouts, jump roping, high-knees and agility drills. These exercises are intense, but fun. I attribute my low body fat to these weekly outdoor cardio sessions.